"On the Path to Enlightenment"
Here are some articles that may be helpful to you. This letter was sent to me about the book "God Is A Verb" by Rabbi David Cooper. I was lucky to have Rabbi David Cooper on my show twice discussing the Kabbalah "God is A Verb" and how to live the Sacred in everyday life "On the Path to Enlightenment." I am posting the letter and Rabbi Cooper's response for all of David Cooper's fans who have been writing to me about him. Could you relay this message to Rabbi Cooper. I noticed your page and location but failed to detect a web page for Cooper, perhaps for sacred reason. Yes, God is a Verb! Thank you for affording me the opportunity to read Cooper’s book. A few questions have been flagged and am working on them, to focus for our discussion. The awareness, as Cooper points out on pg. 34 “can fluctuate on a fairly wide spectrum”. This statement I think mirrors the work of Prigogine and Georgescue-Roegen. They were articulating the verb of the structure, “Essential paradox of creation” as to “…how unity becomes multiplicity”. Cooper states on pg 38 that “…we are still left with an incongruity of the coexistence of the unity and multiplicity”. Not to be simple, for this is a very complex subject, Bohr was alluding to this through his drawing though he may approached the challenge of having to leave harmony for unity. This is when he drew the diagonal, he struggled with the concept of unity and illustrated the concept with one dot on the upper half. The spiral nature of life’s expression affords one to “connect the dots” while comprehending the deeper harmonics of life. Perhaps, in the story about the King and his contaminated wheat, the idea is of the fluctuation, the illusion that is naturally occurring within everything. This is the verb, the way of how and why life is what it is….and so one cannot be more than what and where one is. Just to ask the questions apparently is an active act, worthy in and of itself. But most of all, the story of the Dirty Penny opened my consciousness into the light. Ironically, and even to the point of the comical, an art piece and possible project was created from the penny, painted to be dirty, to reflect the tension between the black and white, which only through movement, could we ever be hopeful that a better future would emerge. Thanks for your letter. I wouldn't know where to begin. So I wrote to Rabbi David Cooper who is on sabbatical right now and asked if he would reply. He did. Here it is! Bill seems to be a lovely combination of intellectual and mystic. It appears to me that his intellectual side embraces his mystical side, while my own inclination is reversed: my mystical side embraces my intellectual. For me the Ground of Being holds the universe and all of the ideas generated in it, thus, my practice is to rest in the Ground, and enjoy its display in the transient figures that keep appearing and disappearing. Bill describes pictures and dots ala Bohr. This is a nice medium to move aside from the intellect and yet express a profound wisdom without words. I often draw a circle on a blank page of a chart and ask someone in the audience to come up and complete the circle by drawing in it the symbol for a yang...with one rule, the drawing will not be acceptable if he/she draws a yin when drawing a yang. How does one draw a yang without simultaneously drawing a yin? A nice little paradox that exemplifies the simultaneous existence of unity and multiplicity. Yin and yang are enfolded into one another, an apparent dualism that is actually a Oneness. This is the metaphor we engage in the language of Figure and Ground. Indeed, one cannot exist without the other. Even the idea of Ground of Being is actually defined by the figures (Creation) that rest in it. This is one aspect of what "verb-ing" is about, the dynamic interrelationship of everything to each other (multiplicity), in which everything is defined by each other (unity). The other aspect of verb-ing has to do with literal motion. Nothing "exists" without motion. Intrinsic in motion is change, and thus impermanence. We cannot grab hold of the "Ground" because it does not exist as an entity...it is always flowing. We cannot grab hold of a figure, for it too is always in motion. So, what do we have? Absolutely nothing to hold. Yet, there is a kind of fluid continuity. And here is where the dirty penny comes in. It is actually a nice Chassidic tale that in our day of Chaos Theory we call the butterfly effect. The slightest introduction of some new movement into the flow can affect and redirect the entire flowing process.This is the beauty of Free Will, which itself is not a thing, but a complex, indeterminate result of a matrix of conditions all coming to a nexus which I describe as "the Smile of the Divine." Nobody knows what is going to happen next; not even the Ground of Being! left the comfort of a lucrative career as a political consultant to pursue the path of the spirit. He spent years practicing Buddhist meditation then moved to Jerusalem to explore his Jewish roots. A leading expert in the field of religious study, he has led workshops all over the U.S.A. His provocative and stimulating book, "God is a Verb: Kabbalah and the Practice of Mystical Judaism" is the subject of our two shows together. He has also authored such books as: "Entering the Sacred Mountain: Exploring the Mystical Practices of Judaism, Buddhism, and Sufism", "Silence, Simplicity and Solitude: A Guide for Spiritual Retreat" "Renewing Your Soul: A Guided Retreat for the Sabbath and Other Days of Rest" and "The Heart of Stillness: The Elements of Spiritual Practice" as well as a best selling audio tape series "The Mystical Kabbalah" and "The Holy Chariot". Do you have any suggestions, comments or feedback and would like to add to this discussion, please write to me and I will post your letter here. 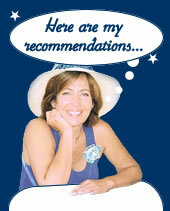 If you want to browse Sheri's "Ask Sheri" question archive than click here.